SWANSEA "LOOS WITH A VIEW"
Glamorgan Spring Bay Council continues to develop the Triabunna Wharf and Marina Precinct (TWMP). The TWMP consists of berths for recreational boats, tour boats and commercial fishing boats. There is a four lane, all tide public boat ramp with large vehicle and trailer parking facilities. 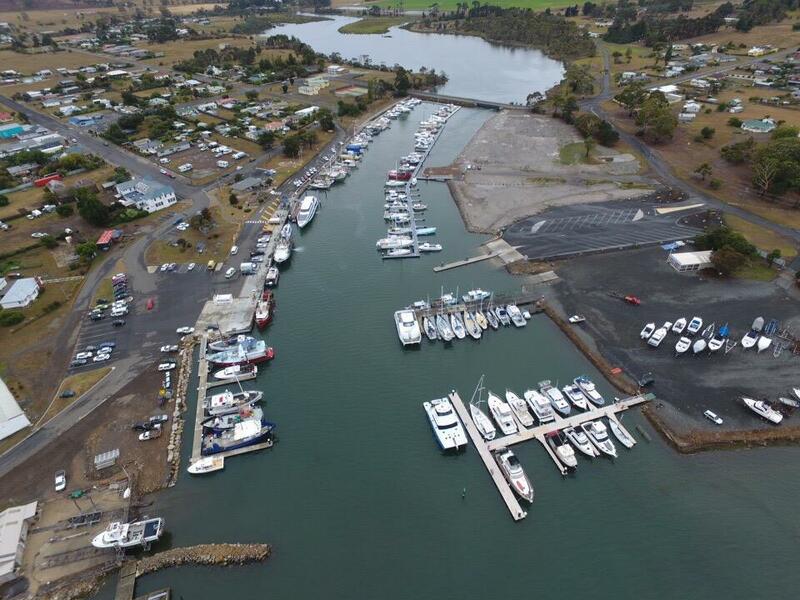 Council has completed Stages 1 to 4 of the marina expansion to cater for the high demand for marina berths. Expansion development to the TWMP commenced in 2012. The TWMP has 24 hour CCTV monitoring for security. The development of the TWMP has cemented Triabunna’s future as the gateway to Maria Island National Park and a boating mecca for East Coast Tasmania. Due to the economic and social success of the Triabunna Wharf and Marina Precinct, and the ongoing demand for additional commercial and marina berths as well as the long-term needs of the Maria Island ferry, a long-term master plan has been prepared. The Spring Bay Harbour Expansion Master Plan was developed through 2018 in consultation with key users and stakeholders. The development of the Spring Bay Harbour Expansion Master Plan coincided with Federal Government infrastructure grant funding programs that relate strongly with the objectives and social and economic benefits that the Master Plan will bring. Accordingly grant submissions were made with multiple letters of support from local organisations and potential users however the outcome is not yet known. 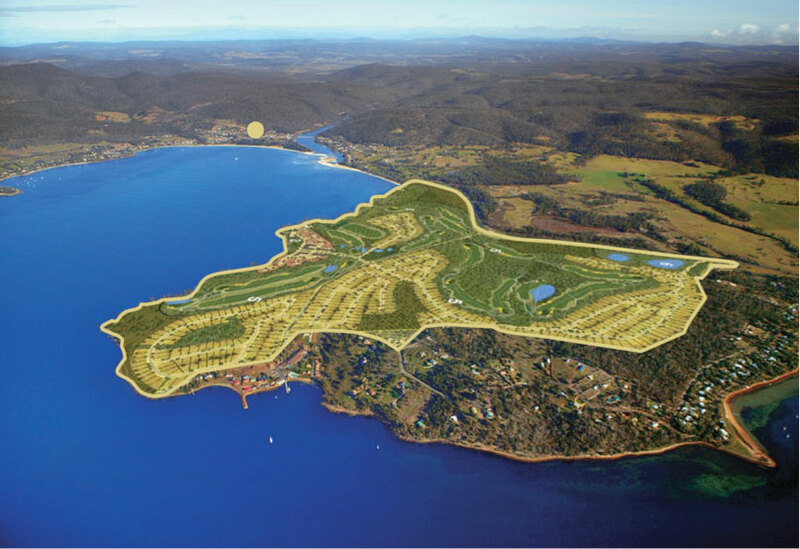 Solis covers 272 hectares of premium waterfront land, only a 45-minute drive from Hobart airport. 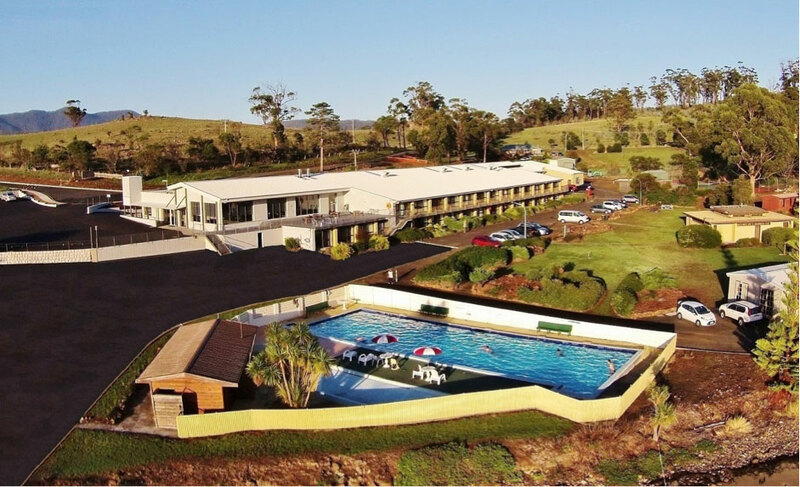 It offers the perfect base to explore the National Parks and World Heritage Areas found on the east coast of Tasmania. Development of an 18-hole golf course on land donated to council at Louisville Point Road, Orford. The Glamorgan Spring Bay Council will lease the “Golf Course Land” to a private lessee on commercial terms, and the lessee will construct and operate the golf course. The re-development of the Eastcoaster Resort. This would involve completing an approved 10 lot subdivision and a new street at the end of Louisville Rd to replace the existing 20 strata titles. Other work involves an upgrade to the existing resort, construction of a new waterfront café/marina complex including an upgrade to the existing outdoor pool and jetty, and redesign of the existing caravan and cabin park for the construction of 24 holiday units purposefully designed with a golfing theme. In order to link these facilities between Orford and Triabunna, a coastal walking track will also be established. The Solis development has the capacity to bring significant, long-term economic gains to the lower south-east region of Tasmania, as evaluated in an independent business case evaluation. From 2010, the Council has been an active participant in the project working in collaboration with the developer, Bayport to resolve impediments to the project proceeding. Council engaged in the project in order to diversify the local economy in a way that focused on the sustainable development of the regions natural assets. Between 2010 and 2014 the Council received and supported various business case propositions that entailed joint venture style partnerships and direct investment in the golf course. Over this period, the Council had approved borrowings of up to $5 million and had considered preliminary business cases to develop the golf course using the funds with a the aim of divesting the golf course by sale or lease to a third party. Sewerage has also been a significant infrastructure issue for the project. The original vision entailed on large wastewater treatment plant located on the site to sewer the entire development and provide irrigation water for the golf course. The quality of this irrigation water was identified as a concern by potential joint venture partners. Thus, in 2010 Solis and Southern Water signed a Memorandum of Understanding to manage wastewater by connection to Southern Water assets. In March 2014, the State Government then committed $3 million in funding in the 2014-2015 budget under the Regional Revival Fund to Solis. During 2016 the need for water for the golf course matched with the need for water for Tassal Group Ltd and the Council resolved to proceed with the Prosser Plains Raw Water Scheme (PPRWS), with its cost underwritten by Tassal Group Ltd less a $2.37 million Federal grant under the Regional Jobs and Investment Package. The PPRWS will commence construction during March 2019. In 2018, Council in consultation with TasWater, State Growth and the developer commissioned JMG Engineers and Planners to undertake preliminary design and cost trunk sewer infrastructure for Solis and existing development on the Louisville Peninsula utilising the previous State grant funding. Extensive discussions have taken place involving Council, Solis, the Eastcoaster and TasWater to progress this sewerage scheme utilising the grant funding. There is the potential that the State grant may be transferred to TasWater given the impending ownership structure of TasWater. The Developer of Solis has being actively engaging council over the last 18 – 24 months. It goal is to proceed with works on some of the approved elements of Solis during the second half of 2019. The Council has approved borrowings from State Treasury of $6.0 million. Of this, no monies have been committed to fund Solis. There has been significant in-kind assistance offered since 2010 through substantial staff time. There has been an allocation of Council funds through an approved RTR (Roads 2 Recovery) grant to redo Louisville road in conjunction with new water mains, sewerage mains and raw water mains in this approved budget with work to commence shortly. Solis have continually sought and are committed to find ways in which to develop the golf course as a viable, standalone business proposition. Council staff recently met with a professional golf course development consulting firm engaged by the developer for this purpose. Any expenditure of funding above and beyond the grant that was awarded by the State government to Council for public infrastructure must be approved by the Council prior to occurring. There is no current expectation of this being necessary. Numerous workshops were conducted by Council from 2010 onwards. Motion passed on 25 November 2014 (2014_11_25 Agenda Final.pdf_extract) to reaffirm Council’s then borrowings, its partnership with the developers and the State Government and to receive a final business case. Workshops Specifically on Solis – 18 November 2014. The Bicheno Triangle Project is an important initiative within the development of the Great Eastern Drive on the east coast of Tasmania. This project is being undertaken by Council in partnership with the Bicheno Community Development Association Inc (BCDA) and will be developed on Council owned public space. The BCDA on behalf of the Bicheno community has been working closely with Council on the development of the Bicheno Triangle design. The Triangle is currently under-utilised public space in the centre of the Bicheno township, directly adjacent the Tasman Highway, the main route through the town. It is a site that the community and Council have struggled with in terms of how best to design and develop the space in a way that benefits the community economically and socially. It has been perceived as ‘dead space’ on a site that should be a visitor hub for Bicheno. The site offers an ideal opportunity to create a multiple use landscaped area that encourages visitors to stop, take a break and explore the town and in particular visit the local businesses, Visitor Information Centre and retail outlets, which surround this area. The master plan includes new car park areas, new pavements, pedestrian thresholds, playground and lookout structure, BBQ shelter, picnic shelter and bus shelter. The Bicheno Triangle Project has been designed by award winning landscape architects James Birrell Design. This is in keeping with the East Coast Regional Tourism Organisation’s (ECRTO) and GSBC’s vision for a series of interesting, well-designed experiential buildings and spaces along the Great Eastern Drive. The 2018-19 financial year saw the completion of Stage 1 of the two stage project with Civilscape being the successful tenderer. Stage 1 involved the redevelopment of the car park area, through road, bus shelter and exposed aggregate footpaths. Landscaping was established to compliment the civil works. Part of the original plan was to underground the existing overhead power lines but due to shallow granite in the area this had to be abandoned due to cost. Plans are well underway for the development of a walking track along the Coles Bay foreshore from Muirs Beach to Richardsons Beach. This project is a partnership between the Freycinet Association Inc. (FAI), Parks and Council. As locals and visitors to the village of Coles Bay will be aware, the roadside along the foreshore is very narrow. This new walking track will allow safe pedestrian movement through an idyllic coastal setting, encouraging visitors to park their vehicles and enjoy the walk. The track will be constructed as an all-weather gravel pavement with footbridges where required. 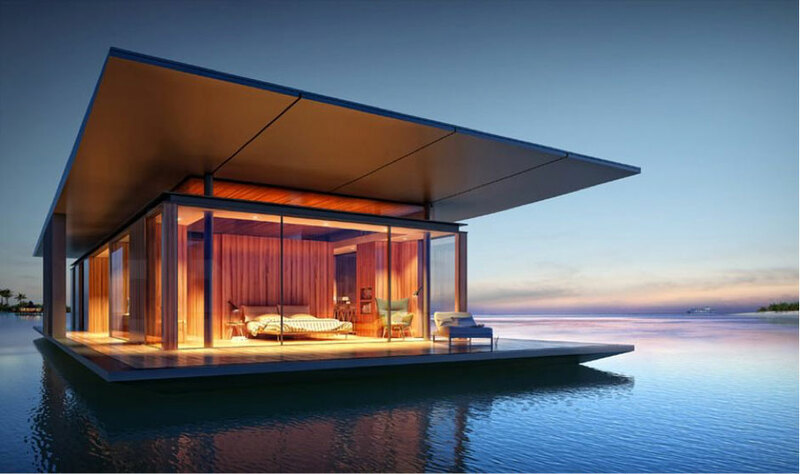 Council is in the very early stages of investigating a proposal for a 200 berth marina, floating houses and residential development at Waterloo Point in Swansea. A master plan for the site is currently being developed. The opportunity for this area was initially identified in the Glamorgan Spring Bay Council Swansea Structure Plan that was drafted in 2014/15 and endorsed by Council in 2016. The Council and State Government will work with the interested proponent in developing a plan for the re-location of current facilities on the site, acquisition of the Crown Land and legislative requirements related to the planning process. The existing toilets at Jubilee Beach in Swansea have been identified by Council and the community as requiring an upgrade. These toilets are amongst the most visited in Tasmania according to the 2016 Sense-T survey conducted by UTAS and Tourism Tasmania. 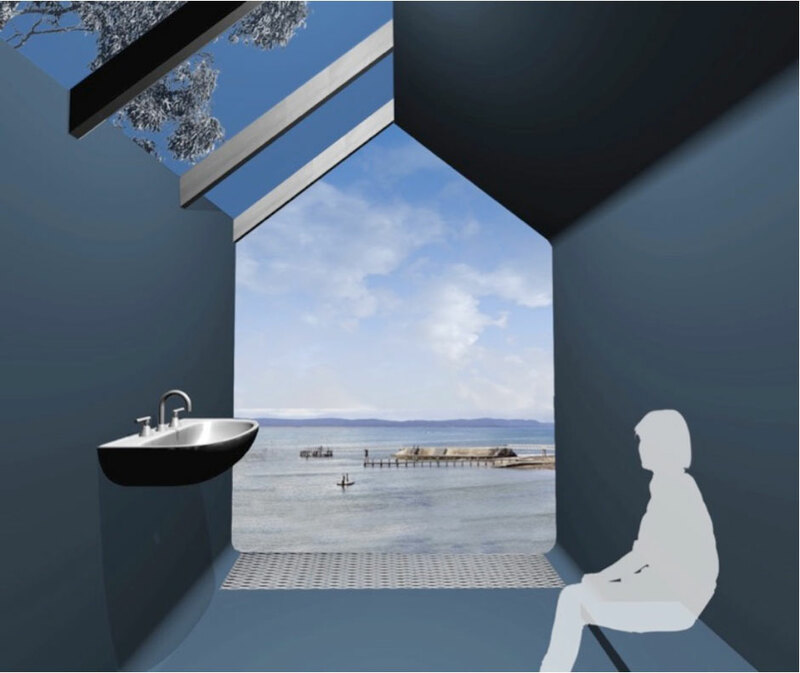 Council engaged architects Gilby and Brewin to design new toilets for the site that take full advantage of the views plus an upgrade to the existing toilets. Construction has commenced on this new facility with the foundations having already been installed. The main frames for the architecturally designed buildings are being constructed off site and will be craned into position once complete. The new toilets will be architecturally striking, create interest and will be an attraction in their own right as part of the Great Eastern Drive touring route. Marina Views represents a development opportunity for Council owned land in Triabunna. This elevated land is within the serviced area of Triabunna and enjoys suburb views on the township and marina. The land currently consists of 22 lots, whilst Council has an approval from the Tasmanian Planning Commission to subdivide a further 6 lots. The original 22 lots were created in 1973 by the State government without any road and service infrastructure in place. The development concept therefore entails the construction of roads and piped infrastructure for water, sewer and stormwater as well as the construction of residential housing. Council current pays $2939.08 per annum in land tax on the 22 lots. Upon completion of the development, this cost will be forgone and annual rate revenue of approximately $28,000.00 will be received. There may be opportunity for additional revenue through the house & land packages, however the main incentive to Council will always be the additional rate revenue. At its February 2016 meeting, the Council resolved to sell the land and noted the potential to include restrictive covenants as a way to guide the future standard of construction on these lots. Coordination of construction programming for the roads, drainage, services connections and base. Council has not yet considered any of the responses to the expression of interest process. Should Council expenditure be required the Council will need to consent to that as such expenditure was not part of the February 2016 resolution. 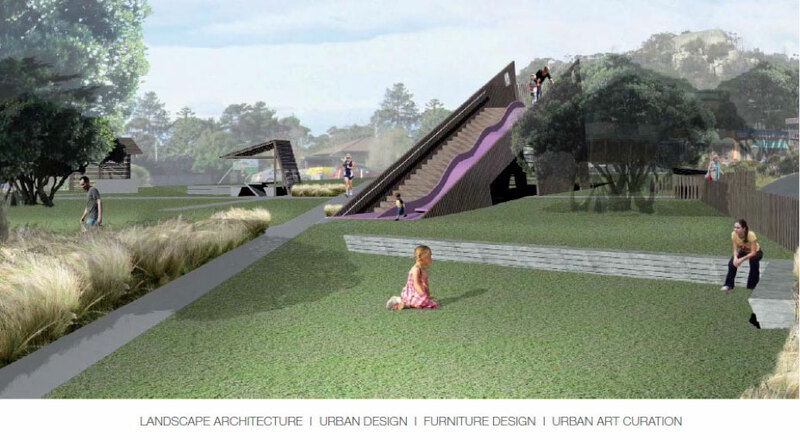 The Triabunna Town Entry – Gateway Gatehouse project was developed as part of Triabunna Tomorrow- an urban design study of the town of Triabunna. It was conducted as a collaboration between Monash University Art Design and Architecture, UTAS, Glamorgan Spring Bay Council and Spring Bay Mill. Triabunna Tomorrow is about rethinking and redefining the town’s built environment to assist with developing the town as the gateway to Maria Island and the economic benefits of encouraging visitors to stop and spend some time exploring and discovering Triabunna. The Gateway Gatehouse project is one of the critical Stage 1 projects to come out of a series of urban design recommendations that deliver the establishment of a coordinated culture and environment within Triabunna. It contains contemporary buildings, spaces and artworks that completely redefine the town. The Gateway Gatehouse has been built on Council owned land at the main entrance to the town on the Great Eastern Drive (GED) and is clearly visible from the highway. It aims to capitalise on and improve the visitor journey along the GED. The overall purpose of the Gateway Gatehouse is to create a welcoming, memorable and meaningful entry experience to the town. It acts as a satellite visitor information centre, providing a place for visitors to pull over, discover what the town is about and clearly position and signpost Triabunna as the gateway to Maria Island National Park. The PPRWS is progressing in accordance with the following resolution of the Council. Council authorises the General Manager to proceed with Stage 1 of the Prosser Plains Raw Water Scheme (construction of pipeline from Prosser River to Okehampton Bay) using funding previously authorised by Council (ref: decision 13/17) including the increase in borrowings to $5 million. Council authorises the General Manager to enter into a formal agreement with Tassal for the delivery of raw water to Okehampton Bay on a full cost recovery basis as detailed in the attached summary of costs on the pipelines. For: Mayor Michael Kent, Deputy Mayor Cheryl Arnol, Clr Mick Fama, Clr Richard Parker, Clr Britt Steiner, Clr Jenny Woods. Against: Clr Jenifer Crawford, Clr Debbie Wisby. In April 2018 Council resolved to submit its draft Local Provisions Schedule. It is anticipated that formal public exhibition will take place from May 2019 onwards. The draft that will be exhibited will include a number of modifications to the draft that Council informally exhibited early in 2018. If you have any queries relating to the process or to the future regulation of land please contact Council staff via planning@freycinet.tas.gov.au. Minutes of post-lodgement conferences with the Tasmanian Planning Commission are available below.